We live in a day and age where cause matters a lot and social responsibility is being celebrated on almost every level. But being a charity is no easy business and so their marketing techniques need to be absolutely on point in order to achieve their very important missions. They need to be forward-thinking when it comes to their digital communications, innovation and stellar marketing strategies. They understand how important it is to invest time, use their energy, build a loyal fan base and stand out in every way possible. So what lessons can we learn from those that do it best, such as Charity: Water? Well, to help you answer this question, we have pulled together a list of lessons that anyone with an interest in boosting their marketing strategies can learn from. If there is one thing that Charity: Water have succeeded in above all it is creating this sense of charity feel more like a movement. That is what people are buying it to as much as they are the need to help those less fortunate than themselves. They are joining a group that all enjoy the sense of community that comes from giving up birthdays and growing beards and holding fundraising parties. This is something you can achieve to a degree. You may not have the funds or resource or cause to be able to build a community of your own, but you can cement yourself as part of your own local community. You can get your business to take part in local charity fundraising events, such as cycle rides or Tough Mudder events, or you could do the local 5K fun run or set up a stall at the next local church fete. You could even ask your staff to get involved in the birthday donation movement and then plaster this on social media to build trust. All of these options will see you become a more prevalent member of your community, which will have some seriously wonderful knock-on effects. Community builds loyalty, remember that. 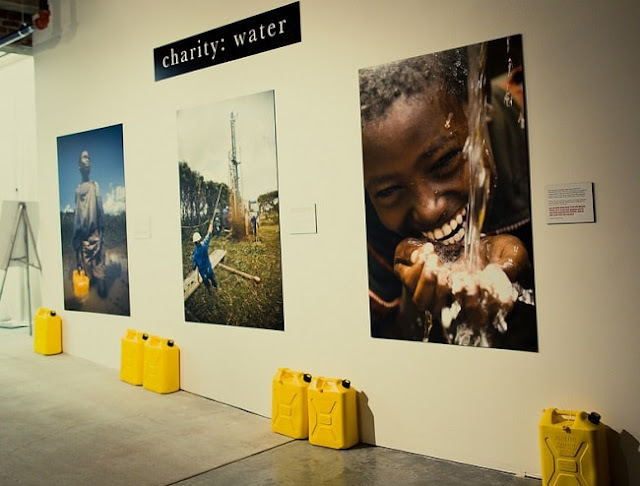 To use Charity: Water as an example again, the second member of their team was a designer, which shows just how highly they rate design and the need to stand out. Of course, they have the funds to do this, spending $11 million last year on marketing, but that is beside the point in many ways. When it comes to their actual designs, they try and make them look as much like art as possible, pieces you would pay for to hang on your wall, and if you look at their website you can learn a lot about what a great website looks like. But their innovation when it comes to standing out goes well beyond design too, and that is where there are lessons to be learned too. Let’s take trade shows, industry events and just about any event where a stand would warrant. They make their stalls stand out through bold marquees and offering an experience to connect with their attendees, such as having them carry water-filled jerry cans fifty meters to experience what life is like for those without access to clean water. You can do this too. Let’s say you have a car dealership; all you need to do is head to Eventdisplay to get a big inflatable archway and then offer people a ride in the passenger seat as a great driver does donuts or 0-6 mph tests as a way of demonstrating performance. Whatever your business does, there is a way to make your stand out both on and offline, never ignoring the power of experience. When it comes to marketing, a lot can be said for storytelling. It is just what works best when it comes to connecting with an audience, especially those that fall within the bell curve of the millennial generation. This could be telling the story of your brand through your choice of imagery, or through social media like Snapchat, or the way you decorate your stores, or it could be through the use of customer reviews and experiences or, better yet, with the use of video, which is becoming ever more awesome. If there is one thing people are looking for, it is stories that mean something. It is stories that can inspire or educate or excite an audience, which is something Charity: Water realized very early on. No matter what advancements are made in technology or transmedia, the power of story will always win because it takes us straight to the experience, and that is something you can achieve no matter what your business. Nike sells sportswear, and yet they come up with mesmeric adverts that students designed. But beyond having the ability to engage, by going down the storytelling route, you are also giving yourself the chance to go viral which, in this day and age, can account for a lot. Most of the time what you will find is that concept outweighs production value, so if you invest energy in the front end you won’t need to worry about shelling out money when it comes to shooting. Social proof is crucial. To put this to you straight, let’s start with a question. You’re in Central Park, and you want to try the best hot dog New York has to offer; are you going to head to the vendor that has no queue or the vendor that has a long line of people waiting? Exactly. This is something that you need to achieve with your business and something the best charities have tapped into. People are influenced by what other people doing. You could do this at trade shows by using your employees as undercover attendees, surrounding your stall as a means of attracting others who want to know what all the fuss is about. Or you could do what Charity: Water does and use numbers throughout your website, which will then make people feel aligned with what others are doing. Couple these figures with pictures and faces and you are onto a winner. I hope you enjoyed this article about business lessons we can learn from charity marketing strategies and storytelling. 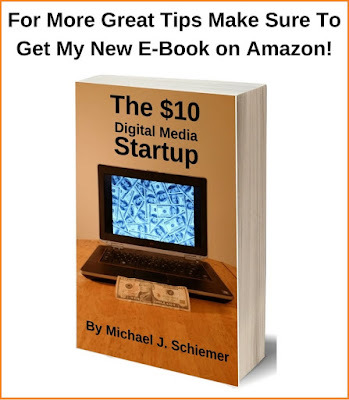 Interested in more articles about business branding on a budget?